The man drinking in the Rome taverna always told all who cared to listen that he once worked in the Vatican Antiquities Museum. “When was that?” asked the occasional bored taverna patron who pressed for more information. “July 17th 2000,” the man replied. Syrian President Bashar al-Assad (who had been in office since July 17th 2000) was talking to the spiritist medium Dulcinea Lucia who had flown in from London for the reading. The gypsy Dulcinea Lucia (who was the goddaughter of Persephone the Greek goddess of the underworld) had special access to the spirits of Hades. 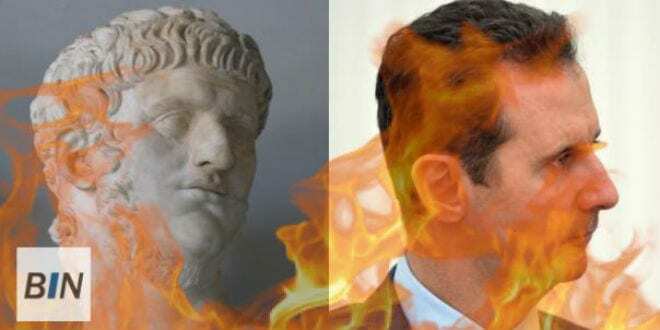 And Bashar al-Assad was anxious to talk to the spirit of the late Syrian Greek king Antiochus IV of the Seleucid dynasty (the man known to the world as Antiochus Epiphanes). The Mossad agent they called the Controller of the Golem was in his office reading a document called the Otzar Midrashim that told the story of a Talmudic sage who received an angelic message regarding the coming of the Messiah. The Controller of the Golem wondered, is it possible that the current secularist tyrant Bashar al-Assad who rules Syria, was he the Nero of the East referred to in the Otzar Midrashim prophecy? He looked up and saw the Egyptian vampiress Isis standing in front of him.